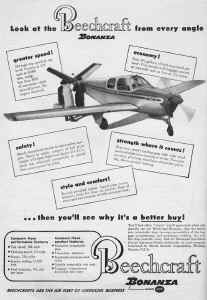 with two Lycoming O-360 engines of 170 hp each. 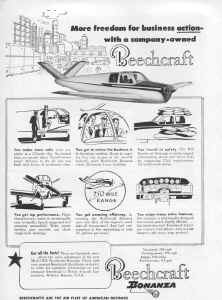 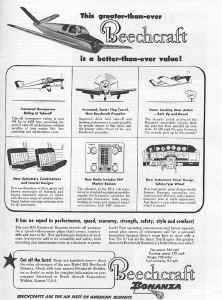 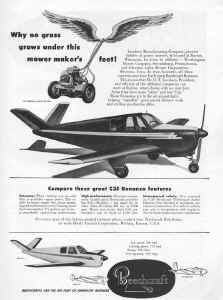 In 1949 Beech Aircraft Corporation helped sponsor a long distance flight by Bill Odom in an early Model 35. 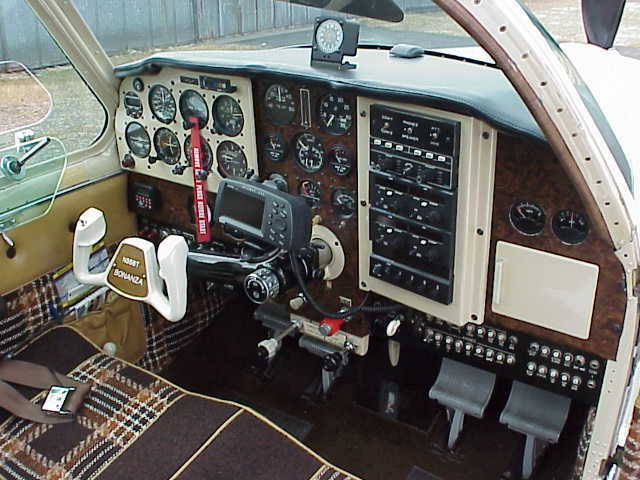 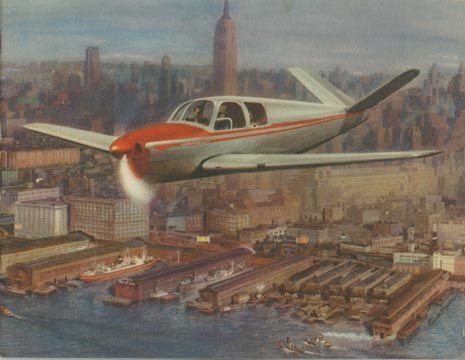 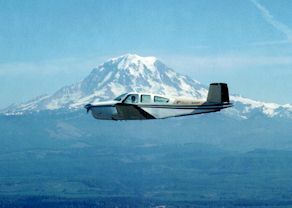 Odom planned to set a record, but Walter Beech saw an opportunity to demonstrate the Bonanza’s performance and reliability. 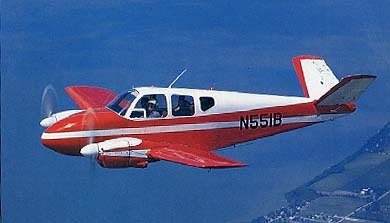 Dubbed the Waikiki Beech, the airplane was the fourth Model 35 built and had been used engineering flight tests. 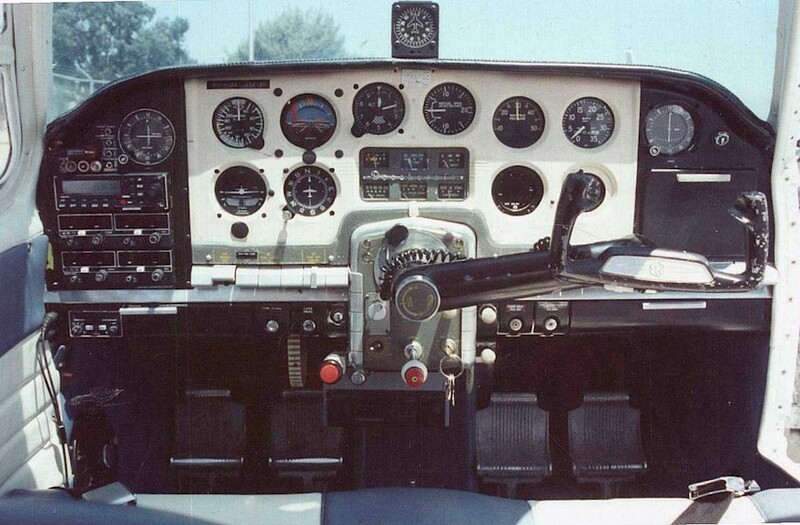 Fitted with additional fuel and oil tanks, the airplane had a range of more than 5,500 miles. 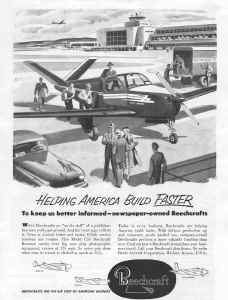 Odom and the Waikiki Beech departed Hawaii on January 12, 1949 and flew east toward their goal-Teterboro Airport in New Jersey. 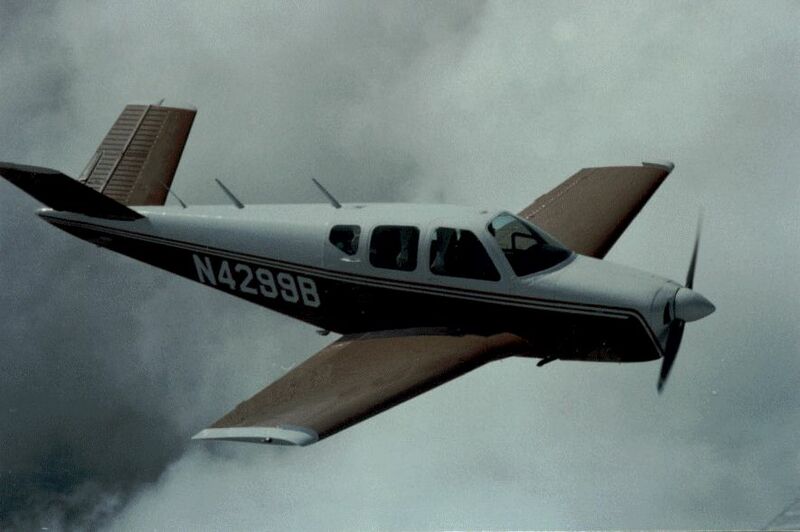 The Pacific Ocean crossing was uneventful, but bad weather forced Odom to land in Nevada after flying for more than 22 hours and covering 2,900 miles. 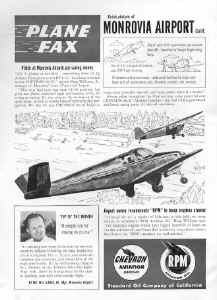 A second attempt was made in March. 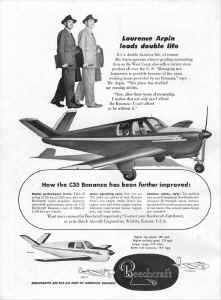 Again Odom and the Bonanza traversed the wide Pacific without any problems and sped eastward toward New Jersey. 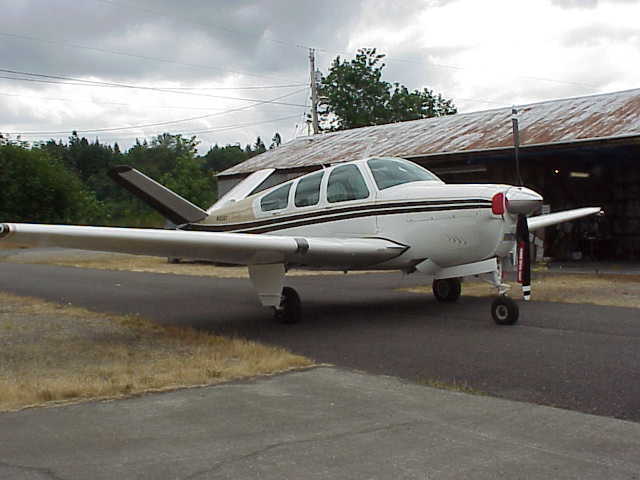 More than 36 hours after leaving Hawaii, the Waikiki Beech landed at Teterboro having flown 5,273 miles and burning only 272 gallons of fuel. 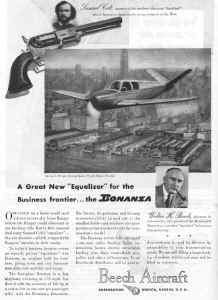 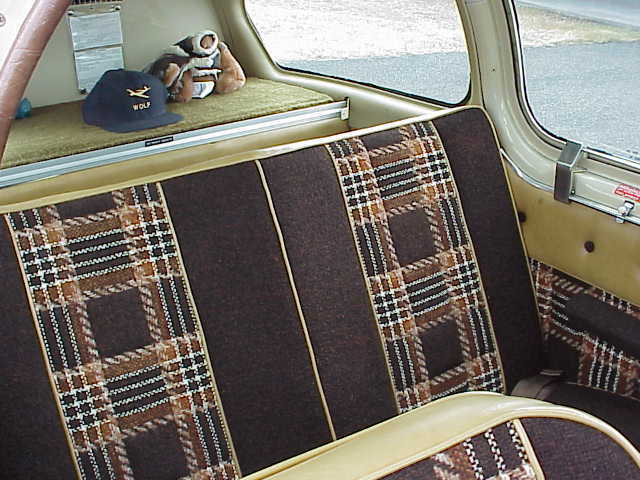 The Bonanza was flown around the United States on a tour celebrating Odom’s achievement. 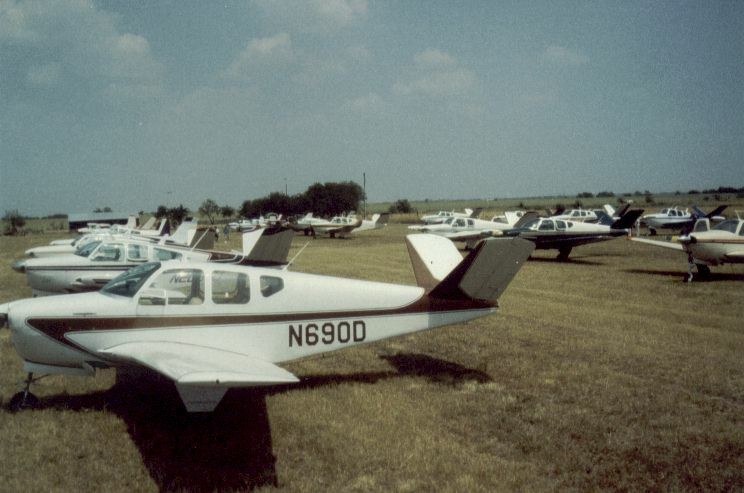 Later, the airplane was donated to the Smithsonian Institute where it was placed on display. 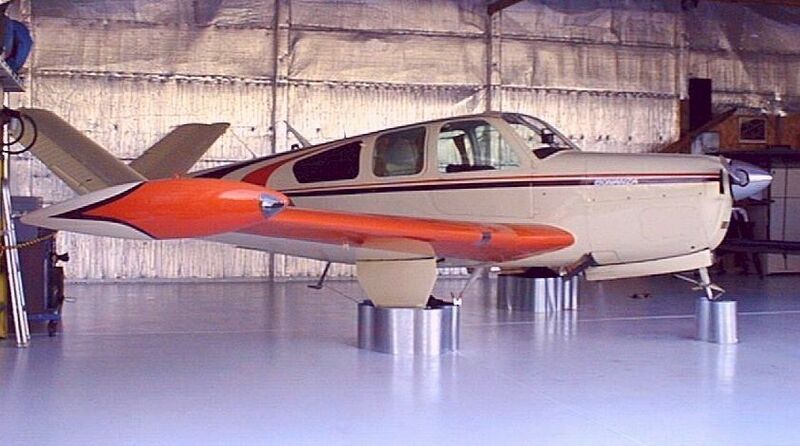 Owner Ron Davis (right) California, has this nice 1954 E35, with the E225 and 88" prop.